Today the term muscle car refers for all sorts of cars with large engines and great performance. However, “back in the day” it described mid-sized automobiles that had big engines stuffed between the fender wells. Corvettes, Camaros, and Mustangs were not considered muscle cars by the purists. Even today many gear heads only consider the mid sized cars from the 1960’s as true muscle cars. Everything else is a sports car, pony car or just a plain old car. So what was the most important of these original muscle cars? We have chosen five of the most popular cars for a retro comparison to determine the king of the hill. 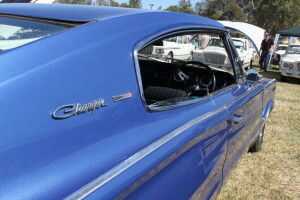 The selectees are the 1961 Chevy Impala SS, the 1964 Pontiac GTO, the 1964 Ford Fairlane, the 1966 Dodge Charger and the 1968 Plymouth Road Runner. Let the showdown begin. Performance was very good for the era with Motor Trend driving one from zero to sixty on seven seconds and completing the quarter mile in 14 seconds at 98 mph. The car became a legend. The GTO was another marketing success for General Motors. Although the car was not the fastest car on the market it quickly became successful as an all a round muscle car. It was relatively affordable, relatively fast and relatively handsome. Many consider it the first modern muscle car. Although that is debatable, it is definitely the first successful muscle car in terms of sales. Performance was very good with Car Life and Motor Trend both measuring zero to sixty times of less than seven seconds and quarter mile times of around 14 seconds. In 1964 the Fairlane was redesigned and the tail fins were removed. Other improvements included upgrades to the suspension in order to improve ride-quality. Interior enhancements included full carpeting for the floors and turn signals that turned themselves off after the steering wheel was turned. However, the big news for 1964 was the Thunderbolt. The Thunderbolt was one of fastest dragsters ever produced by a manufacturer. Ford stuffed a heavily modified 427 cubic inch engine with two four-barrel carburetors mounted on a high-riser manifold into the relatively light weight Fairlane. The car had a ram-air induction system with air vents mounted in openings in the grill left by deleting the inboard headlights. Other modifications included: equal-length headers, a trunk-mounted battery, fiberglass hood, doors, fenders and front bumper, Plexiglass windows, and other lightweight options included deleting the rear door window winders, carpeting, radio, sealant, sun visors, armrests, jack, lug wrench, heater, soundproofing, and passenger side windshield wiper. Performance was amazing. Gas Ronda dominated NHRA’s 1964 World Championship by running his Thunderbolt through the quarter mile in 11.6 seconds at 124 mph. Later, the NHRA changed the rules to require 500 models of a car to be manufactured for Super Stock competition, and Ford, which had been losing $1500 to $2000 on each Thunderbolt sold at the sticker price of $3900, gave up. In the end, it was the NHRA and its ability to change the rules that stopped the Ford from dominating the drag strips for many years. Although the Fairlane faded form Ford’s performance spotlight as the Mustang took off. It came back in 1966 and 67 as a very nice looking car. Large engines ‘encouraged’ great performance numbers also. Although it resembled a Coronet with a fastback, the production Charger carried design cues from the Charger II concept car. Both maintained the swoopy fastback that was very popular during the mid-sixties. The electric shaver grill used fully rotating headlights that when opened or closed made the grill look like one-piece. Inside, the Charger used four individual bucket seats with a full length console from front to rear. The rear seats and console pad also folded down which allowed for more cargo room inside. In the rear the full length taillights carried the Charger name. The car was radically different than anything else on the road and when fitted with a street Hemi it was one of the fastest cars on the road. A Hemi equipped car could do zero to sixty in less than seven seconds and the quarter mile in about 14 seconds. It was a big and radically designed car. And best of al, it was fast. By 1968, muscle cars had become fast, luxurious and expensive. The young people that consisted of the primary market for these types of transportation had been priced out of the market. Plymouth recognized this and exploited to its fullest potential. First, the stripped down a Belvedere to its most basic form and then gave it a large motor. Then the marketing department found a simple way to change the image of the car from that of a bare bones racer to a unique automobile. A popular cartoon character and a unique horn was all that was need to bring this car to the masses. The Road runner was an instant success. The combination of affordability plus outstanding performance had won the day again. Performance was remarkable with 13 second times for the Hemi and 15 second times for the base engine in the quarter mile. All five of these muscle cars were trend setters in their day. But the one that appeals to this author as the greatest of the early muscle cars is the 1966 Dodge Charger. It was a radical departure from the past with its fast back design and the four passenger bucket seats. It just looked like a muscle car. Performance was strong and the price was reasonable. The 1961 Chevy Impala Super Sport is a close second and if more had been made it may have actually won this little compression.